Book announcement: Japan’s Postwar | What can I do with a B.A. in Japanese Studies? 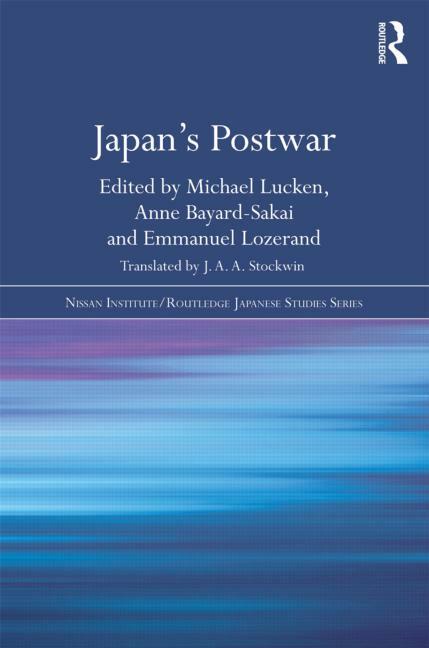 Historical surveys of postwar Japan are usually established on the grounds that the era is already over, interpreting “postwar” to be the years directly proceeding World War II. However, the contributors to this book take a unique approach to the concept of the postwar epoch and treat it as a network of historical time frames from the modern period, and connect these time capsules to the war to which they are inextricably linked. The books strength is in its very interdisciplinary approach to examining postwar Japan and as such it includes chapters centred on subjects as diverse as politics, poetry, philosophy, economics and art which serve to fill the blanks in the collective cultural memory that historical narratives leave behind. Originally published in French, this new translation offers the English speaking world important access to a major work on Japan which has been greatly enriched by the translator’s great accuracy and knowledge of English, French and Japanese language, history and culture. Japan’s Postwar will appeal to students and scholars of Japanese Studies and Modern Japanese History as well as historians studying the world after 1945. This entry was posted in announcements, culture and tagged books, history, Japan, modern, modern history, modern Japan, postwar, postwar Japan, World War II. Bookmark the permalink.